A man from Southern California has admitted to playing an apparently unwitting role in aiding Russian operatives now indicted for efforts to disrupt the 2016 U.S. presidential election. That man, Santa Paula resident Richard Pinedo, made a formal admission of guilt to the office of special counsel Robert Mueller, acknowledged selling stolen bank information and selling it to parties who used it to make online transactions. Those transactions were used, the special counsel's office said, in efforts by Russian operatives to eventually buy ads to damage the candidacy of Democratic presidential nominee Hillary Clinton. Here's how it worked: Pinedo's company, Auction Essistance, promised banned sellers from online marketplaces, such as eBay and Amazon, a way back onto those sites. Among the buyers, the special counsel's office said, were Russian operatives who used the stolen information to register accounts used to purchase political ads through PayPal and other online payment companies. These ads were designed to damage Clinton's campaign or boost the candidacy of Donald Trump. In his admission, Pinedo acknowledged selling bank account information from 2014 through December 2017 to buyers that he was aware were overseas. But Pinedo’s lawyer denied his client had any knowledge the stolen bank account information would be used to influence the 2016 elections. "Mr. Pinedo had absolutely no knowledge of the identities and motivations of any of the purchasers of the information he provided," attorney Jeremy Lessem stated. The New York Times quoted an official from Mueller's office who said Pinedo's dealings with the Russians appeared to be inadvertent. 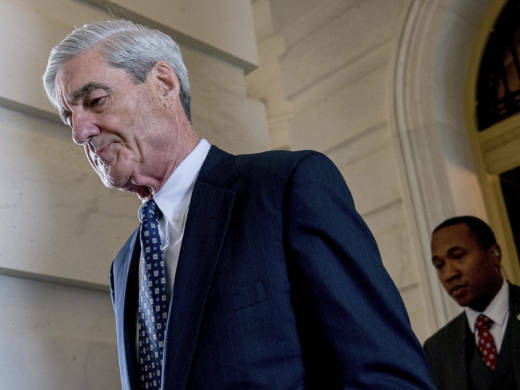 Prosecutors had “no evidence and there is no allegation he was a witting participant in the Russian efforts to interfere in U.S. elections and political processes," said special counsel's spokesman Peter Carr. Pinedo, who earlier this month pled guilty in U.S. District Court in Washington, D.C., to a single count of identity fraud, faces up to 15 years in prison and a fine of $250,000. Both the plea and the charge against him were kept under seal pending Mueller's announcement of charges against the Russian operatives. Besides Pinedo’s admission, some see circumstantial evidence tying this latest round of indictments from Mueller to other political efforts within California, including the Calexit movement that promotes California’s secession from the United States. For instance, two of the Russian nationals indicted by the special counsel on Friday, Anna Vladislavovna Bogacheva and Aleksandra Yuryevna Krylova, are alleged to have visited California and several other states in June 2014 "to gather intelligence." Bogacheva and Krylova worked for the Internet Research Agency, a Kremlin-connected organization that, according to the Mueller indictment, engaged in a sweeping online disinformation campaign to help Trump, hurt Clinton and create “political discord” in the U.S. In 2016, a Calexit leader told KQED that he worked with that Russian agency to “raise awareness” of Calexit goals. That man, Louis Marinelli, had lived in San Diego but was helping Calexit’s political campaign from his home in Russia. Marinelli’s effort was endorsed by the Kremlin, which hosted his group as part of an anti-globalization conference in Moscow in September 2016. The conference was paid for by the Russian government, and the pictures of Marinelli flanked by other "freedom fighters" from Texas, Catalonia, Ireland and Puerto Rico. The Calexit campaign, operating under the name "Yes California," is now led by another man, Marcus Ruiz Evans, and is proceeding with its petition for a ballot initiative to begin the secession process. Ruiz Evans says his organization has in the past welcomed support from the Russian government, but no longer does.